Santa Carlucci was touched by Santa’s spirit in 1993 and is now known as one of the premier Santas in the Minneapolis-St. Paul area. 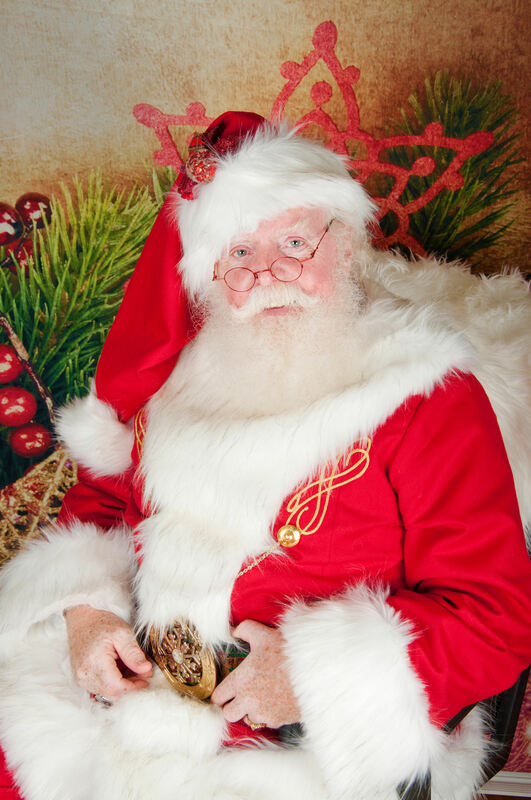 As an active leader in the Minnesota Santa community, Carlucci has been involved nationally with his volunteering, teaching, and various board work involvement with numerous Santa conventions including Branson and Gatlinburg. In 2010 at the Gatlinburg Santa Convention, he met Cheryl (Claus) Saxrud. The two teamed up as Santa and Mrs. Claus, and became the beloved characters, Father and Mother Christmas, throughout the Twin City area. Since partnering with Cheryl, the two of them have worked hard to bring a unique product line with Mrs. Claus Creations. Carl grew up in New Rochelle, New York, joined the Air Force after graduating high school and is now retired from the Broadcast Film Surveillance Computer Storage System World of Rorke Data.